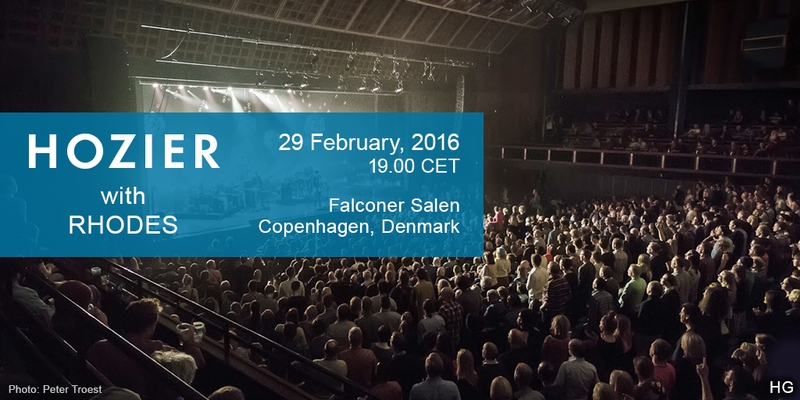 Hozier played the Falconer Salen in Copenhagen, Denmark on Monday, 29 February, 2016. Rhodes opened. Capacity 2000. Alana spent her day in Copenhagen taking Othello on a playdate. For each song he played I fell a little more in love!! I just got to see one of my favourite artists in the whole world (@hozier) live and it was amazing. My final / @hozier second final show before his tour ends. Thank you for everything, I've been to 3 different shows in 3 different countries and you've never failed to amaze. CPH Post Online: Take me to Falconer – if you can find a ticket! Tagged Copenhagen, Denmark, Falconer Salen, Rhodes. Bookmark the permalink.